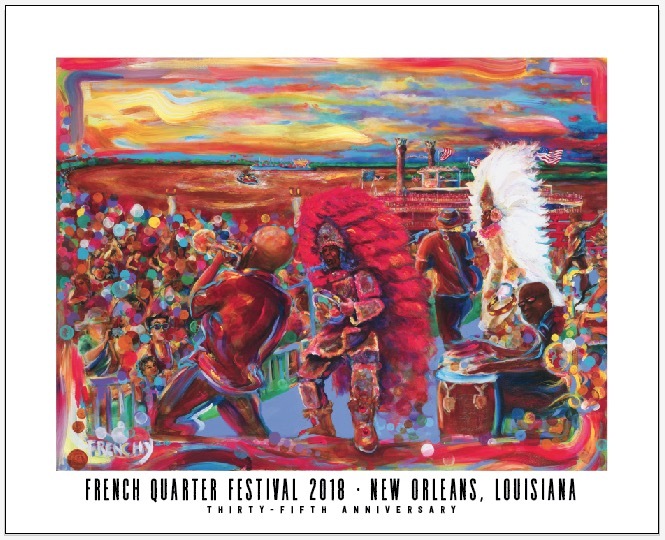 French Quarter Festival turned 35 years old in 2018, celebrating a storied history as one of the largest free music festivals in the country. To help generate additional media coverage, the festival’s producer, New Orleans-based nonprofit French Quarter Festivals, Inc., tapped Bond Moroch to assist with PR and rebranding the event’s website. The festival was founded in 1984 as a way to attract visitors back to the French Quarter neighborhood following the World’s Fair and extensive sidewalk repairs in the historic neighborhood. Today, the festival attracts an average 700,000 people to the neighborhood to enjoy over 1,700 Louisiana musical acts, countless Louisiana classic and new dishes, cultural events and more. 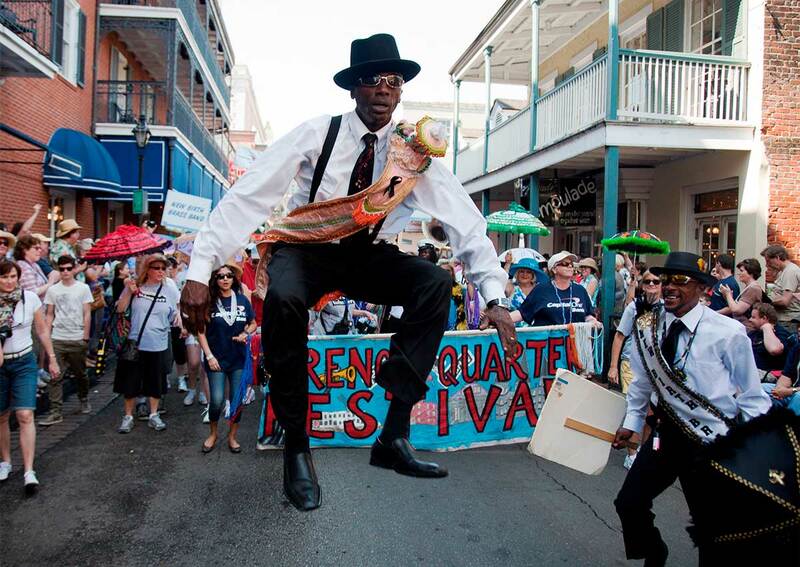 More than 20 stages throughout the French Quarter celebrate Louisiana music and represent every genre from traditional and contemporary jazz to R&B, New Orleans funk, brass bands, folk, gospel, Latin, Zydeco, classical, cabaret, and international over the four-day event each April. As a well-established brand, French Quarter Festival was looking to expand its media impact to new social media influencers and attract more national attention. Furthermore, festival organizers wanted to focus on two new features of the 2018 event: the premier VIP “Fest Family Experience” and lighter, healthier food options. To achieve the festival’s social media goals, Bond Moroch set up the festival’s first media preview tasting for festival food. To promote the Fest Family Experience, the festival’s first VIP tickets with exclusive perks, we hosted a giveaway with local influencer AmourNola. Finally, we invited several social influencers to attend the festival with Media Passes, giving a select few Fest Family Experience passes to document their experience. On the traditional media side, Bond Moroch helped draft press releases, send communications to new national reporters, handle on-site media relations and assist with crisis communications. FQF had initially identified the Associated Press as a target outlet, having been unsuccessful to work directly with one of their reporters in the past. Bond Moroch secured a lunch meeting with a locally based AP reporter to talk about the festival and potential story angles for 2018. Our media relations efforts secured the largest media hit of the year for the fest—a feature story in the Associated Press. The story was picked up by 627 outlets from coast to coast, generating 112,954,641 impressions and an estimated $2,870,505 in advertising value. A few top outlets that picked up the story include New York Times, The Washington Post, Dallas Morning News, Milwaukee Journal Sentinel, Seattle Times, New York Post and more. Bond Moroch assisted with two mini-crises, as well. First, on the first day of the festival, a cargo vessel crashed in the Mississippi River in New Orleans, spilling diesel fuel into the river. The fuel washing up alongside the festival that day, causing a pungent smell and creating a negative media narrative. Bond Moroch helped guide the FQF team to handle communications surrounding the crisis, which luckily was cleaned up and “washed over” quickly. The second crisis was also a first for the festival’s 35 years of history: cancelling a day of the fest. Bond Moroch successfully helped communicate the cancellation of the festival’s third day due to severe weather, securing TV interviews with three local stations that evening, in addition to local print and online outlets. Media covered key messages of it being a “difficult decision” to cancel, and that the festival would reopen the next day. Thanks to communications efforts, crowds again flocked to the French Quarter that Sunday. On the social media front, the pre-fest giveaway with AmourNola to promote the Fest Family VIP Experience attracted 1,020 comments/entries and 534 post likes on the official entry post. AmourNola made numerous posts, attracting thousands of likes and comments and helping to increase awareness about the VIP tickets among the local audience. To highlight the fest’s food, we secured about 10 social media influencers and traditional media at the preview tastings, garnering coverage on social platforms and local outlets like The Times-Picayune/Nola.com. Bond also invited and managed multiple other social media influencers to share their experience during the festival weekend. The outreach resulted in thousands of impressions on social media, coverage of the festival, the Fest Family passes, food, music and more. Despite the festival having to cancel one day, attendance the other days was on track to break the previous year’s record. 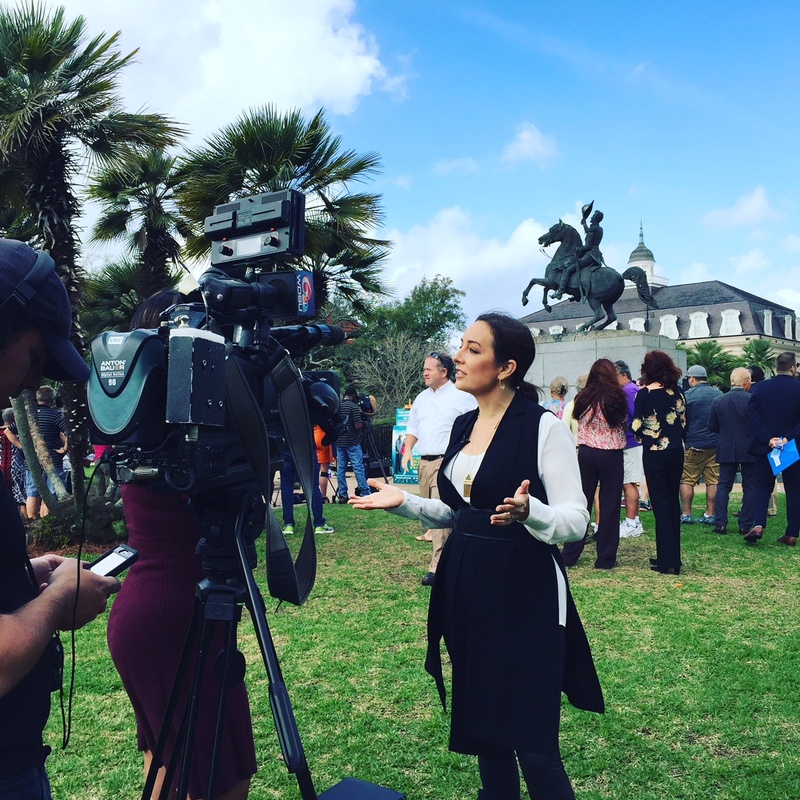 Media coverage after the festival included positive messaging about how FQF continued to pay its musicians from the cancelled day—even though the nonprofit took a huge financial hit from the loss of revenue that day. Overall, the festival successfully rang in 35 years, attracting new attendees and those who have been enjoying the free festival since day one.